Life can get exhausting. There are endless actions to do, tasks to finish, concerns to worry about – it’s literally incessant. I (Nikki) realised yesterday that my mind left to its own devices, is a hyped up monkey jumping from tree to tree, climbing up and down, whose only time to rest is at night (replace tree with thought and climbing with emotions). That’s why I tame it. I force myself to stop: to check-in, to do things that I know will calm me down (like massage or yoga), to authentically share where I’m at to others, to ask for help. And of course: to meditate. I have no idea where I would be without meditation. On the days I don’t meditate, I get a glimpse, and it’s certainly not pretty. Then every so often, I go on holidays. In this eye-opening clip: ‘Are you working to live or living to work?’, our favourite spoken-word poet, Prince Ea, encourages us to: “Take short trips with no distractions; Spend time in meditation instead of aggravation. Replace our screen savers with sun rises, and our palm pilots with palm trees”. When my mind tries to tell me I don’t deserve a holiday, there is too much to do etc, I tell it to shut up and do it anyway. As Prince EA remarks “We all need time to get away from the race, for the sake of our mental state. To re-wind, re-charge, and re-connect”. But it doesn’t have to look like a big fancy overseas vacation to get the desired outcome. The study went on to find that meditating extensively whilst on a holiday can induce specific changes to a network of genes relevant to healthy ageing (the telomeres) and provides additional benefits to cellular health beyond the vacation effect. So something like our three-day meditation and mindfulness retreat in three weeks time is perfect! Not only do you learn to meditate using a self-led technique which you can continue practicing on your own upon return, it’s an opportunity to eat wholesome food prepared fresh from the veggie garden, be immersed in natural surrounds instead of the usual urban jungle, and relieve the effects of long term built up stress in your physiology. Our past retreat-goers will attest that you return home on Sunday evening feeling new levels of calm and wellbeing akin to having been away for an entire month! We find that often people have misconceptions about what a retreat really is or some concern around it that isn’t necessary true. We have a few spots left, so if you are the least bit intrigued but have some concern or barrier – we would absolutely LOVE to have a conversation with you to explore whether it is indeed something for you, and to support you in making it possible if you decide it is. 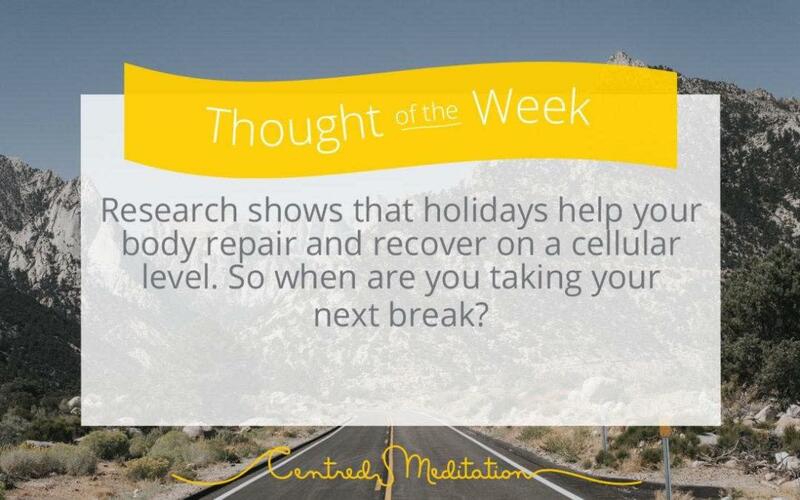 Call us on (02) 8006 1403 or email info@centredmeditation.com.au.